• Where does the Pennsylvania String Ensemble perform? • Does the Pennsylvania String Ensemble take special musical requests? • Can the Pennsylvania String Ensemble perform with additional musicians? 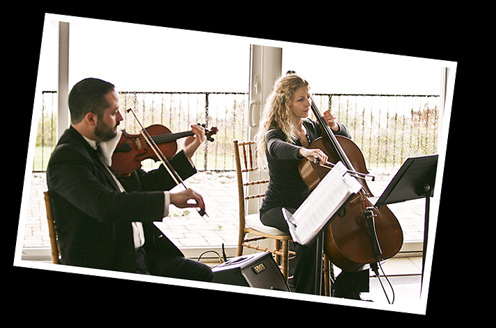 • Can Penn Strings perform live music for an outdoor event? Where does the Pennsylvania String Ensemble perform? • Philadelphia and the Tri-State area, including Doylestown, King of Prussia, Lansdale, Montgomeryville, Morristown, New Hope, Perkasie, Quakertown, Warminster, Willow Grove, PA; Chester, Wilmington, and the surrounding region. • New Jersey, including Vorhees, Cherry Hill, Asbury Park and the Jersey Shore, Morristown, and the surrounding region. Does the Pennsylvania String Ensemble take special musical requests? The musicians of Penn Strings will be happy to acquire new music to fulfill your requests or write special arrangements to include one of your favorite songs or pieces in our playlist. Violinist Christopher Souza and cellist Agnieszka Rybska have both worked on original string arrangements for the ensemble. All we need is access to audio recordings of the selection and ample time to write out the music (a week or two). Examples of arrangements we have written and performed include melodies and standards from Broadway, classical operatic arias, string quartet music reductions, light piano works, and popular ballads. 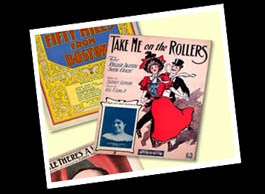 The cost for special requests is $50 per song. Can the Pennsylvania String Ensemble perform with additional musicians? Penn Strings offers a wide range of options to help you create your ideal wedding music ensemble. From the number of musicians to the unique instrument combinations needed to capture the ambience you're looking for, we can help you customize a package that reflects your musical tastes. We offer strings, guitar, wind instruments, male and female vocalists, and piano. Can Penn Strings perform live music for an outdoor event? • String instruments, such as violins and cellos, are particularly susceptible to damage in extreme outdoor weather. The instrument varnish and glue can melt and the wood can crack if exposed to the elements. Our instruments cannot be performed in direct sunlight when temperatures exceed 75 degrees Fahrenheit. • Low temperatures can also be very damaging to the wood. Given the sensitive nature of the strings and their tuning, a temperature below 55 degrees is too low for a quality performance. 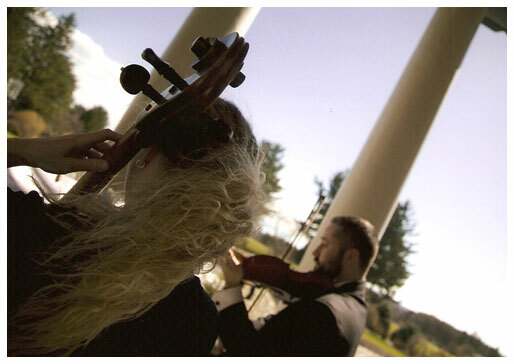 • In order to insure the safety of the instruments, the Pennsylvania String Ensemble will need a covered performance location that protects the instruments from occasional rain droplets and direct sun. Tents, gazebos, or shady spots with rain cover are sufficient.